A Technical Training School with a focus on Software Development & Engineering, Database Design & Administration, Information Security, Mobile Application Development, Healthcare IT (HIT) training classes and more. A Healthcare Training School with a focus on training students to land a career as: Home Health Aids (HHAs), Certified Nursing Assistants (CNAs), Medical Billing and Coding Specialists or Electronic Health Records Specialists. A Business Professional Training School that empowers professional students to learn skills such as: Business Analysis, Financial Analysis, Marketing Management, Project Management and Business Management training. Aaron loves all three of his training schools because he has the opportunity to transform the lives of many people. One of the reasons his schools are so popular is that he and his staff not only train people every day, but they build solid, long-lasting relationships with at least 90% of their students – many who go on to accomplish amazing things. So naturally, being a part of their job search process before and after graduation is always a big deal. Now traditionally, Aaron would have a team member reach out to local companies in the area, and attempt to create partnerships or job opportunities (whichever came first) for any student who asked for help. However, the success rate was mediocre, a lot of work was being put into matching the graduates and job opportunities and there was really no core revenue being generated around these activities. Aaron needed help and fast! 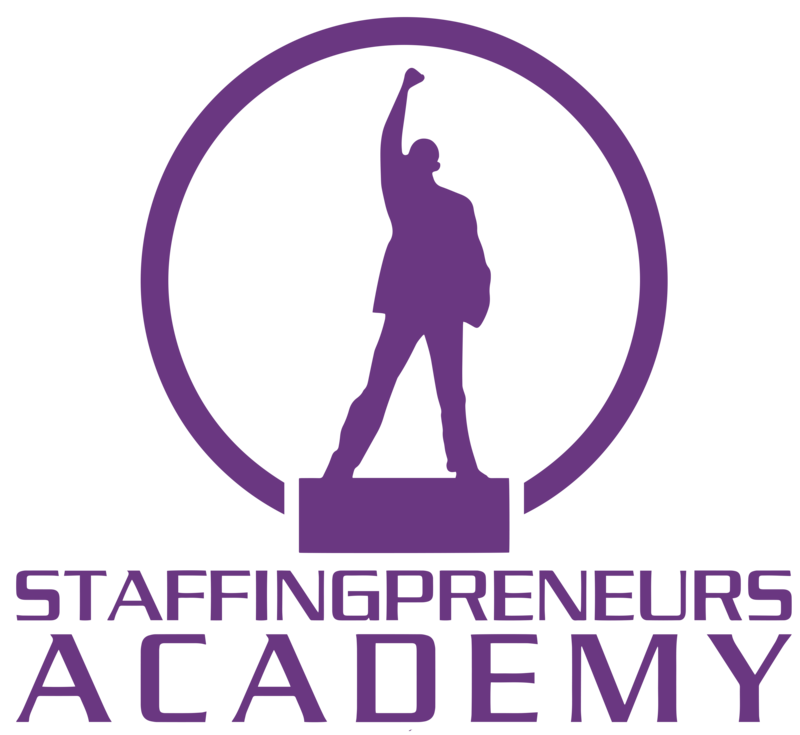 One day, Aaron came across a Youtube video on how to start a niche’ staffing business. The idea intrigued him because his schools were doing the same thing staffing agencies were doing (matching professionals into jobs), except he wasn’t getting paid for it. This was exactly what he needed to recharge his business and fulfill his dream of opening training centers across the entire world! If he was having a hard time getting companies to give his students jobs for free, how was he going to convenience the very same companies to pay him, to hire his students? Especially when most schools still give their students away like he did! First, people tend to value things they pay for. And when there is a need, regardless of how tight their pockets are, if they are purchasing it – they see the value in having it. Second, matching people into jobs and within industries where there are a high amount of hires and low job openings such as construction, retail, arts, entertainment, and recreation – there is no real demand. However, when you start to look at industries where the economy shows a clear skills gap or talent shortage – there may be a need to upgrade your graduate-to-job matching model. You see, companies are in fact willing to pay staffing companies top dollars to hire the very same graduates that you’re giving away to them – for free. With the right strategy, you have the ability to add an additional business model to your current infrastructure that will allow you to create better job opportunities for your graduates in a market that shows a clear skills gap or talent shortage, while practically tripling your income – Just like Aaron!